More than one million people are diagnosed with skin cancer annually in the United States, and that number is on the rise. 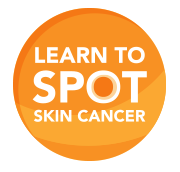 The good news is there are steps you can take to prevent and detect skin cancer: protecting your skin from the sun’s harmful rays and having regular screenings by a board-certified dermatologist are the best ways to prevent the threat. When was the last time you had your skin checked by a specialist? Our educated and trained medical providers diagnose and treat skin every day. Between annual exams, don’t forget to perform regular self-checks. Know your skin, and look for changing or growing moles, an irritated area that won’t heal, or one that bleeds. Click here for a Body Mole Map (courtesy of American Academy of Dermatology) to help keep track of your ever-changing skin. Call us today to make an appointment for your annual skin check. We look forward to seeing you soon.